Conclusion: another fine quality release from Xtradecal, and represents great timing for the Trumpeter 1/48 scale C-47 kit. 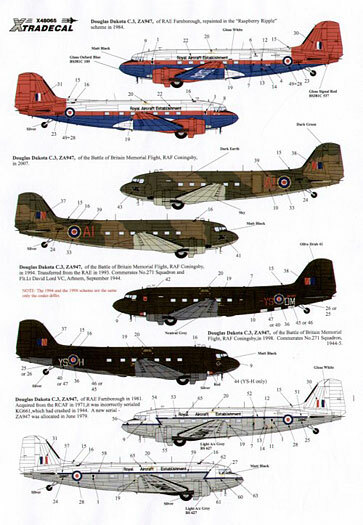 Xtradecal has released a new 1/48 scale decal sheet depicting four sets of markings for Douglas C-47 Dakota C3 serial number ZA947 during its service with the RAF. 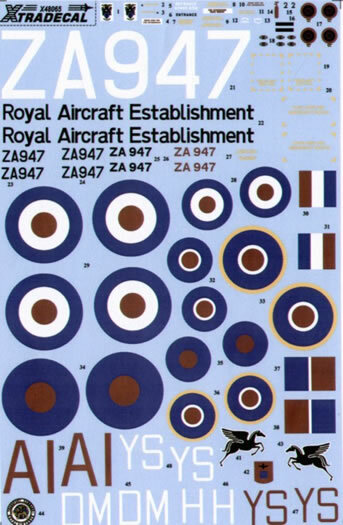 The decals are recommended for the new 1/48 scale Trumpeter kit but will also be suitable for the old Monogram/Revell offering. The decals are superbly printed with good colour saturation. They are in perfect register. As usual with Xtradecals, the carrier film is ultra thin. My experience with their decals in the past has been that they will snuggle down into the surface detail well. The carrier film then almost totally disappears under a coat of clear. ZA947 in the 1984 RAE Raspberry Ripple scheme of BS381C:573 Signal Red, White and BS381C:105 Oxford Blue. The aircraft was based at RAF Farnborough. ZA947 in the 2007 Battle of Britain Memorial Flight scheme of Dark Green and Dark Earth upper surfaces and Sky under surfaces. The aircraft was based at RAF Conningsby. 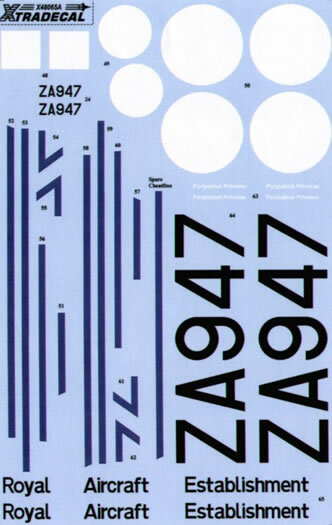 ZA947 in the 1994 Battle of Britain Memorial Flight scheme of Olive Drab upper surfaces and Neutral Grey surfaces. The aircraft was finished both with and without invasion stripes. The aircraft was based at RAF Conningsby. 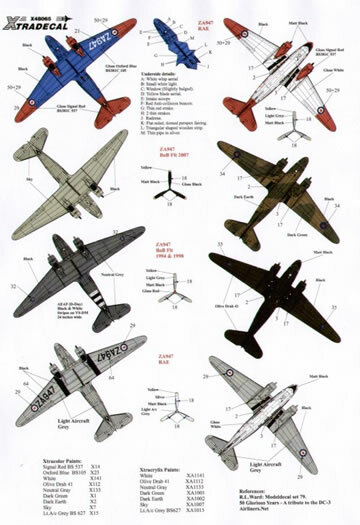 This is another fine quality release from Xtradecal, and represents great timing for the Trumpeter 1/48 scale C-47 kit.